Installing Apple Service Diagnostics on a USB hard drive Please refer to the document ?Installing ASD on a USB hard drive? included with this release. 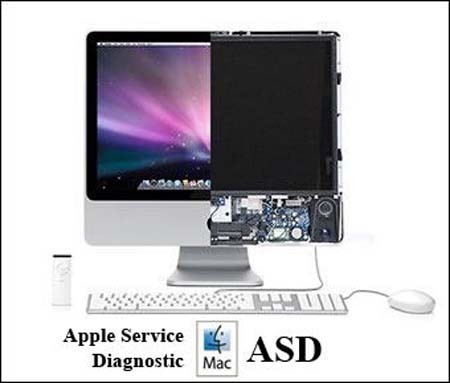 Note: ASD is tested with a custom Mac OS that is supplied in the image. As a test requirement the OS is set up as a root user. DO NOT copy ASD to another OS or some tests will fail. Also running ASD on another OS removes some of the Finder menu items and sets preferences specifically for ASD requirements. It will damage your OS so use the one provided.